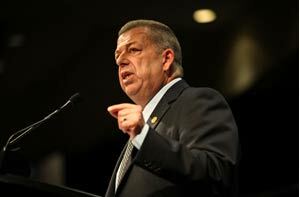 Toronto, ON – The Liberal government’s proposed legislation released yesterday that would strip school boards and their employees of basic rights are ‘bullying tactics’ that have no place anywhere in our education system, warned the President of the Ontario Division of the Canadian Union of Public Employees (CUPE Ontario), the union representing over 55,000 education support workers in the province. “Nobody wins when a bully starts a fight. The only thing anyone can do is stand on the principle that what the bully is doing is wrong. 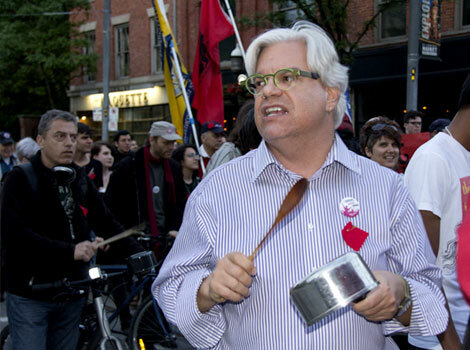 The bullying tactics leveled against education support workers are contrary to everything that everyone in Ontario’s education sector has been trying to achieve for years,” says Fred Hahn. “We need to work together to find a solution that respects the value of the work education workers do and that is suitable for students, families and our members,” adds Hahn. His remarks follow Education Minister Laurel Broten’s ‘preview’ of legislation that, if passed, would force contracts on school board employees and school boards if they do not reach collective agreements before Sept. 1. “Bargaining collectively, negotiating collective agreements – these are basic rights says Terri Preston, Chair of the Ontario School Boards Coordinating Committee (OSBCC), the voice of School Board employees in CUPE Ontario. “In most cases we are only in the very beginning stages of bargaining with school boards across the Province. The fact that government wants to strip away that right by introducing legislation is appalling. We believe in a process that supports free collective bargaining, and where agreements are reached between employers and unions – not imposed by a third party” she added. Education support workers are the backbone of the school. Every day our members ensure schools are safe, clean and have the resources they need to nurture young minds. August 20, 2012 The Ontario government ramped up its strategy to create an artificial crisis in education today when it announced plans to recall Queen’s Park and introduce legislation that unfairly targets teachers and other education workers. 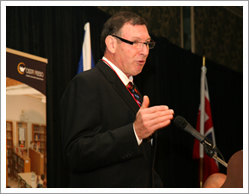 Government House Leader John Milloy announced this morning that the Legislature will resume on Monday, August 27th so that the Liberals can introduce the Putting Students First Act, 2012. If passed, this legislation will impose cuts on the wages and benefits of teachers and other education sector workers. The proposed legislation also significantly restricts collective bargaining rights in the education sector. 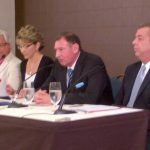 On August 16, 2012, the Minister of Education announced that the Liberal Government had prepared draft legislation to implement restraint measures in the education sector. The legislation is designed to impose the OECTA MOU or something that is substantially similar (if successfully locally negotiated by August 31, 2012) upon all education workers. If a locally negotiated collective agreement is settled after August 31, 2012, it must be substantively identical. The Provincial Executive is currently reviewing the legislation. Also, OSSTF/FEESO’s in-house legal counsel is meeting with legal counsel from other organizations in the education sector to prepare the appropriate legal challenges. The Provincial Executive is also liaising with both CUPE and ETFO regarding the legislation. Although the Government has not announced when it would recall the Legislature to deal with the legislation, Premier McGuinty has hinted publically that it may be the week of August 26, 2012. Tim Hudak has called on the Premier to recall the Legislature immediately. The Conservatives have not yet indicated whether they will support the legislation. They want to be briefed by the Education Ministry before commenting, and are still pushing for an across-the-board wage freeze law for all public sector workers. I have been conducting many media interviews related to the introduction of the legislation. I have emphasized in each interview that all of the actions the Government has been taking affect teachers and support staff and that the legislation, if implemented, would have a negative impact on all education workers. I have also been emphasizing that OSSTF/FEESO teachers and support staff will be in their schools with their students on the first day of school. We are actively pursuing local collective agreement settlements in several boards across the province with the hopes of achieving a settlement prior to the August 31, 2012 deadline imposed by the Minister. 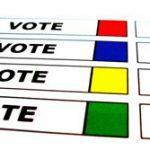 Our strike votes will proceed as scheduled. As more information becomes available, we will continue to update you.